Georgia Interfaith Power and Light (GIPL) is proud to announce the first annual Coastal Green Team Summit, a special event for people of faith who want to learn how to care for the Earth. Mark your calendars and register clergy AND lay people for this fun and educational event: Saturday, October 20, 2018 from 9am - 3pm. Hosted by First Baptist Church St. Simons Island, this will be a day of workshops and networking with other local green-minded communities of faith. You will leave with the tools to green your community, your faith, and to start up your own Creation Care ministries within your house of faith. 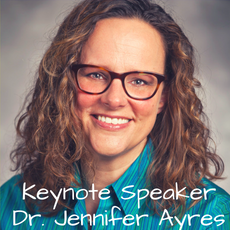 Emory University: Candler School of Theology professor, Dr. Jennifer Ayres will offer the keynote address, titled “Profoundly Located: Cultivating a Sense of Place.” What is the intersection of theology and the environment? Should we care about Creation as people of faith? Dr. Ayres will answer these questions and so many more. Following the keynote, you’ll have the chance to attend two workshops of your choosing, share a communal meal, and hear from an interfaith panel on Creation Care. Registration is only $15 and includes lunch. Questions? Email info@gipl.org or call 404.377.5552.